With Mac FoneLab’s help you’ll be able to retrieve lost photos, contacts, messages, call entries, calendar events, notes, reminders, Safari bookmarks and other important data from your iOS device. 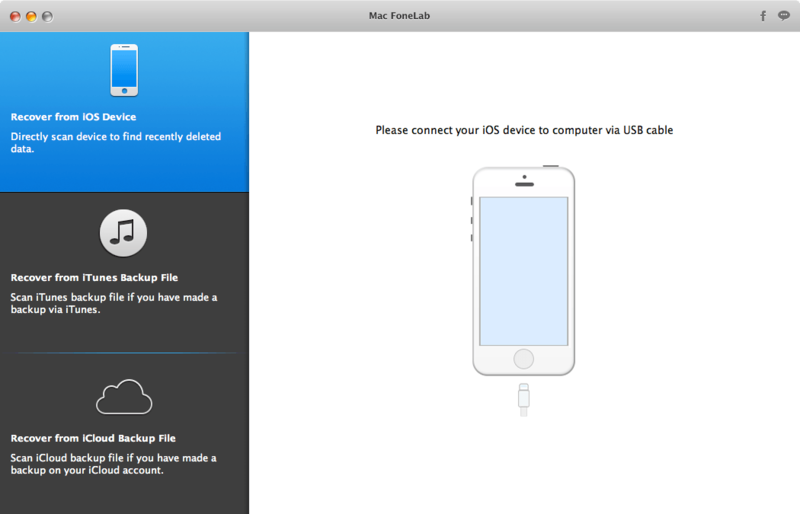 From Mac FoneLab’s user-oriented main window, you can easily decide from where you want to retrieve data and choose to recover directly from your iOS device, iTunes or iCloud backup file. Once the iOS device or backup file is scanned, you can browse its content and preview the retrieved data. What is more, the Mac FoneLab app groups the collected data into different categories that you can easily access from the left side panel. 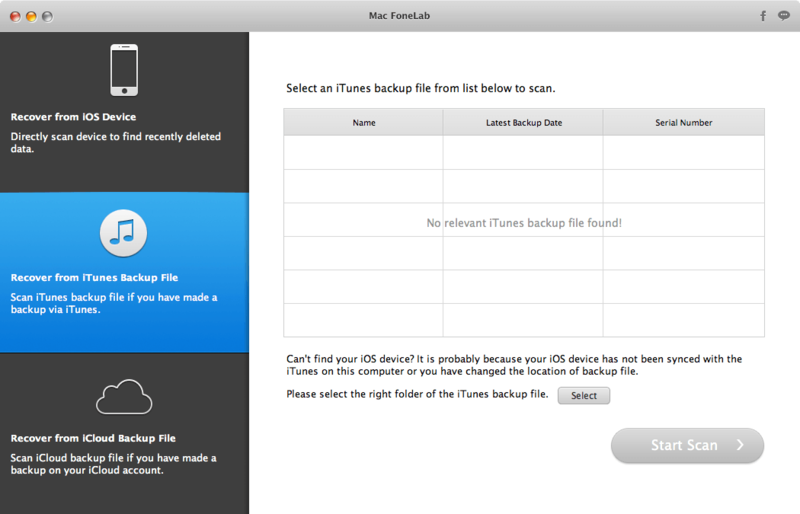 If you can't recover deleted data from iPhone/iPad/iPod directly, or can't recover from iTunes backup files, you can try this recovery method - recovering from iCloud backup files. 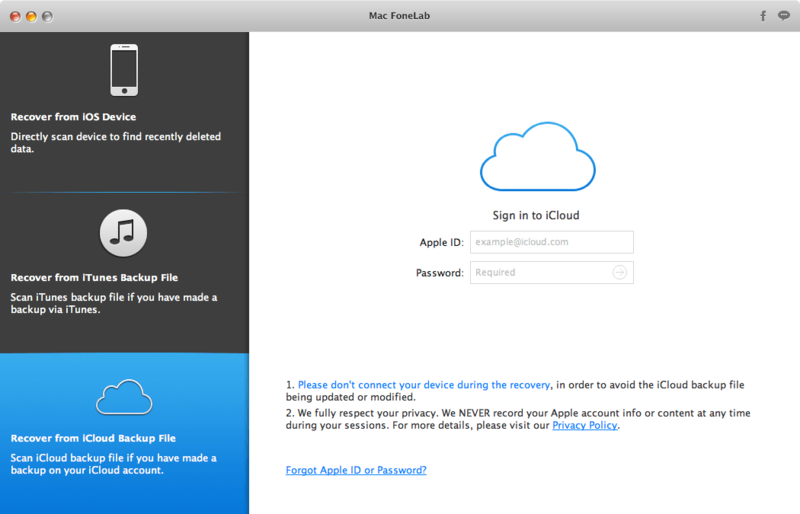 You can sign in your iCloud account from FoneLab interface and restore the deleted files from the iCloud backup files. Apart from its three recovery modes, Mac FoneLab also enables you to preview the lost data info before recovery, which is especially useful when you need to recover only certain files. You'll find all scanned files displayed in the preview window in category; both lost and existing files are visible. Just click the file type to see detailed information. This will make your work much more efficient and save you a lot of time!